2017. By Peter W. Kick. 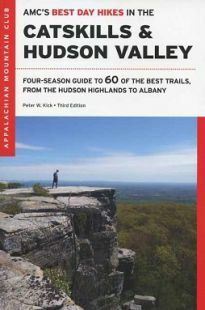 The new updated and revised third edition of this great guide to 60 of the best hike's in New York's Catskill Mountains and Hudson River Valley. Hike descriptions feature color photos and maps, trailhead information, GPS coordinates, and much more. Book also includes hiking and safety tips and essays on nature and the history of the region. Softcover. 300 pp.